This Article deals with the power of Registrar to vary or cancel registration as registered user. Registration of registered user may be varied or cancelled , on the ground that the registered user has used the trademark not in accordance with the agreement or the proprietor or user has failed to disclose any material facts for such trademark registration or that the stipulation in the agreement regarding the quality of goods is not enforced or that the circumstances have changed since the date of registration, etc., Notice and opportunity of hearing is provided before cancellation of registration. This section corresponds to section 52 of the former Act of 1958 and empowers the Registrar to vary or cancel the registration as registered user. Particulars and statements mentioned in paragraph (1) to (4) of sub-clause (b) of sub-section (1) of section 49. The name, description and principal place of business in India of the registered user and if he does not carry on business in India, his address for service in India. Any conditions or restrictions relating to the registration of user. An application on Form TM-U may be made by the registered proprietor of the trademark to vary any of the entries in (a) or (c) above. In respect of matters in (b) above, application for change of entry is to be made on Form TM-P, as the case may be. Where a registration of a registered user is limited by any period, an application may be made for varying by extension of the period of such trademark registration in accordance with the agreement between the parties in this respect. The registration of user may be varied as regards the goods or services in respect of which it has effect. The application on Form TM-U is to be accompanied by a statement of the grounds on which it is made, and where the registered user in question consents, by the written consent of the registered user. Application for cancellation of registration of registered user under clause (b),(c) or (d) of sub-section (1) of section 50 may be made on Form TM-U, as the case may be. Such application must be accompanied by a statement (in triplicate) of grounds on which it is made. An application on Form TM-U may be made by the registered proprietor of the mark or by any of the registered users, for cancellation of entry. In case of the registration of a registered user for a specified period, as per section 49 (1) (b) (4), the Registrar will cancel the entry of the registered user at the end of that period. Where some or all the goods or services are omitted from those in respect of which a trademark is registered, the Registrar shall at the time omit them from those specifications of registered users of the trademark in which they are comprised. The Registrar shall notify every cancellation or omission to the registered users whose permitted use is affected thereby and to the registered proprietor of the trademark. Any stipulation in the agreement between the registered proprietor and the registered user regarding the quality of the goods or services in relation to which the trademark is to be used is either not being enforced or is being complied with. In respect of any goods or services in relation to which the mark is to longer register. Clause (d) of sub-section (1) of section 50 empowers the Registrar to cancel the registration of the registered user on his own motion or on an application of any person on the ground that any stipulation in the agreement between the registered proprietor and the registered user regarding the quality of goods or services in relation to which the trademark is to be used or is not being complied with. 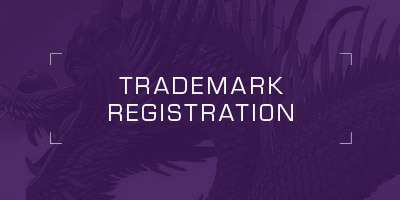 Similar action is also available in respect of any goods or service in relation to which the trademark is no longer registered. Ordinarily, is to be expected that the registered proprietor, in his own interest and in the interest of the reputation of the trademark, will ensure the quality of the goods or services associated with the trademark is maintained. A trademark is a valuable price of industrial property in terms of both of its power to attract customers and the royalties which can be demanded from the licensees. If the proprietor tolerates uncontrolled use of his trademark, the value of the property will be diminished. In an extreme case, the registration of the mark may become liable to be revoked if it is has become deceptive or generic through such use. As compared to the position under the 1958 Act, the exercise of power of the Registrar to cancel the registration of the registered user under sub-clause (d) is not of a serious consequence, having regard to the substantial change brought about in the new law, to recognize the use of the trademark by an unregistered user as permitted use within the meaning of the Act. The only disability is that an unregistered permitted user will not be entitled to institute any proceeding for infringement, even though the such “permitted use” complies with the conditions or limitations to which such user is subject to which the trademark registration is subject. Under sub-clause (e), the registration may be cancelled in respect of any goods or services in relation to which the trademark is no longer registered. This situation may arise particularly as a result of successful rectification proceedings and the specification of goods in respect of the registration is amended by deletion of certain goods or services and the registration is narrowed down. Rule 95 prescribes the procedure to vary or cancel registration. Where an application under section 50 has been received for variation or cancellation of registration of registered user, the Registrar will notify in writing to the registered proprietor and each registered user of the trademark. Any person who has been notified, and who intends to intervene in the proceedings may file the notice to that effect on Form TM-U together with the statement of grounds of intervention. Thereafter the Registrar will serve copies of such notice and statement of grounds on the other parties. In the case of any application under section 50, the applicant and any person notified may, within the time permitted by Registrar, leave evidence in support of his case, and the Registrar after giving the parties an opportunity of being heard, may accept or refuse the application or accept, subject to such conditions, amendments, modifications or limitations, as the Registrar may impose. The Registrar’s decision will be communicated in writing to the parties. Sub-section (2) of section 50 mandates that the Registrar shall issue notice in respect of every application under this section to the registered proprietor and each registered user of the trademark. In accordance with the principle of natural justice, sub-section (3) enacts that before cancellation of registration the registered proprietor shall be given a reasonable opportunity of being heard.